Like Kingseeker Frampt, Kaathe is a primordial serpent, but his intentions are very different from those of Frampt. He is the leader of the Darkwraiths and wants to see the Furtive Pygmy's plan come to fruition by recruiting undeads with the Darksign so that they can become the new Dark Lord, heralding the Age of Dark. It is implied that he is the one who manipulated the people of Oolacile to awaken Manus, and offered the art of lifedrain to the Kings of New Londo, making him indirectly responsible for both Oolacile's and New Londo's destruction. Kaathe can be found near The Abyss bonfire after you have defeated The Four Kings, provided that you haven't yet placed the Lordvessel on the Firelink Altar. He also appears if you have not yet retrieved the Lordvessel. Allows you to join the Darkwraith Covenant and upgrade your Covenant level, but only if you talk to him in The Abyss. 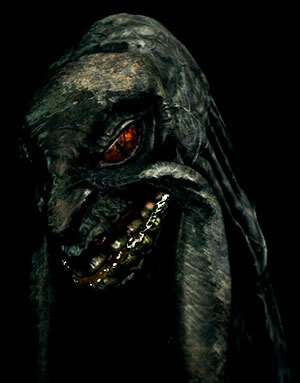 Sells Cracked Red Eye Orbs if you're a member of the Darkwraith Covenant, but only if you talk to him in The Abyss. Warps you to Firelink Altar and vice-versa. Use the "Warp" option in his dialogue options. If you have already placed the Lordvessel, Kaathe won't appear after you kill The Four Kings. If you had already met Kaathe, the next time you speak to him he will scold you and leave for the rest of the playthrough. 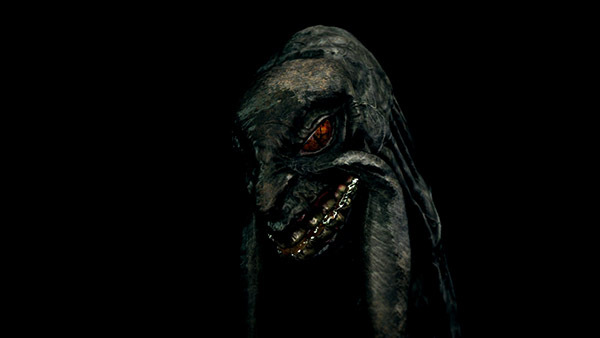 Likewise, if you have sided with Kaathe by placing the Lordvessel for him, Kingseeker Frampt will be upset. Upon your next talk with Frampt, he'll disappear for the rest of your playthrough, so you'll also lose the possibility to sell items and divide shards. Note: Kaathe will not provide this service. Attacking Kaathe/siding with Frampt doesn't break up the Darkwraith covenant, although you can't upgrade the covenant's rank or buy Cracked Red Eye Orb from him anymore. Rest at The Abyss bonfire. Talk to Kaathe until he transports you to the Firelink Altar. Do not place the Lordvessel in the altar. Instead, warp back to The Abyss bonfire by using Homeward or Homeward Bone. Talk to Kaathe, he'll offer you "the art of Lifedrain" (i.e., Darkwraith covenant). Now you can upgrade the covenant level and buy Cracked Red Eye Orbs from him. After you're done, you can talk to Frampt and put the Lordvessel for Frampt. However, Kaathe will be upset and will leave for the rest of the playthrough. Note: You can also get Kaathe's services prior to having the Lordvessel. To know the truth of men, and the Undead? A wise choice, Undead warrior. Speak to him after you answered "No"
Perhaps you have changed your mind? and cast off the shackles placed upon your brethren. It begins with your retrieval of the Lordvessel. Be still. Entrust thine flesh to me. What is it? Place the Lordvessel upon the altar. Go on, state your wish. They failed me, every last one of them. I am certain that you will prove different.